…it turns out that the massive cyber attack against the toymaker company also left hundreds of thousands of snaps of parents and children, as well as a year worth of chat logs kept online in a way easily accessible to hackers. The database also included information on children including names, genders and date of births. Also Read: Caution! Hackers Can Easily Hijack Popular Baby Monitors to Watch Your Kids. However, the Hong Kong-based company noted the database didn't contain any credit card or personal identification information like social security numbers (SSNs) and driver license IDs. How did VTech Data Breach Happen? The massive data breach actually occurred on Nov. 14 and impacted VTech's Learning Lodge app store database, which features learning game apps and other educational tools for kids to download on their VTech devices. The kiddie toymaker company had alerted Learning Lodge customers of the recent hack, and had "temporarily suspended" the Learning Lodge site along with 13 of its associated websites as a precautionary measure, VTech said on its website Monday. The hacker that discovered the data breach told Motherboard that he has no plans to misuse the leaked information he gathered. However, now, when the information – including snaps and chat logs – is available online, it could be even harder for VTech to try to pretend that everything is all right. VTech says it is still investigating the matter, and will look into new ways to strengthen its security. It also alerted customers of potential exposure, encouraging them to follow up with the company via email (vtechkids@vtechkids.com in the U.S.). Now that the massive database from VTech is available online, security experts are warning that hackers and cyber criminals are likely to use this information in order target similar IoT (Internet of Things) companies that handle customer data. Breaches like VTech are not unusual, but since it involves services aimed at children that generally do not get much of the attention when it comes to the security of data. Affected? How to Check and What to Do? If you are a parent holding a Learning Lodge account, you are advised to check Have I Been Pwned? 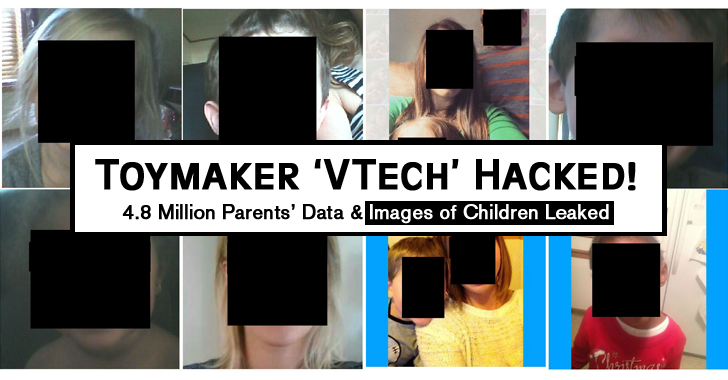 website, which compiles all the data from breaches and now includes users accounts stolen from VTech. You are also advised to change the passwords on any other online accounts for which you are using the same password as for Learning Lodge account.